Telephone data lists are very important for the future of your telesales campaigns. When a company buys telephone data lists from another there is a significant investment in question. You would want to reap the best ROI from the investment. The quality of data list often determines how many sales opportunities you get. It is a combination of a good data list along with telemarketing skills that can earn your call center good accolades in telesales. This is where the worth of predictive dialer lies. It can examine the quality of data lists bought for telesales. Predictive dialer allows you to view the accurate call outcome logs and useful metrics diagnosis, by judging both these qualities you will be able to judge the quality of data list. You may return or not return to the same provider based on the effectiveness of data list. For telesales agents the telephone data list they have at hand is their sole ammunition, so the purchase of data list should be done after much consideration. Follow the below mentioned guidelines to make the best purchase of data list for your contact center. Can the Pacing algorithm be adjusted? Pacing algorithm in the dialer determines how rapidly the numbers are dialed based on the availability estimation of agents. If a dialer has good pacing algorithm it can maximize the agent talk times and reduce the silent phases. As par the guidelines, silent calls should not be more than 3% of all live call time. Non-adherence to such a norm could cause the call center a penalty up to $50,000. Does your dialer have all the advanced options? The dialer you buy should support choices such as progressive, predictive and preview dialing. Such a setting would allow you to run different campaigns simultaneously. Though predictive approach is the most important is minimizing the agent talk time, but there are times when the agent needs to study account details so preview comes to use in such situations. Is there an effective list management feature? Whatever campaign you are running there will be need to redial the numbers again due to no answer, busy signal or silent call at the first instance. So, the dialer you choose should allow you to track, manage and even prioritize these numbers that have to be handled later. This feature should be allowed regardless of what dialer is used or when the calls were made. There are some systems which have a time limit within which the agent has to repeat calls. Is the dialer ideal for blended operations? The dialer you choose should allow the agents to switch between tasks and sessions effortlessly. They should be able to work in a completely blended mode. For this the dialer should be able to integrate inbound and outbound approach. Does the dialer have the capability to play silent call announcements? As per the regulation in the event of a silent call there should be a recorded message that must be played within two seconds to provide the recipient information about the calling party. Does the dialer have a flexible call back feature? Is there any option in your dialer that can set call backs to the same agent or groups? Ideal dialers should have features to schedule calls for future days. These call backs should be active even when the campaign is not active. The same agent call backs should be simple to review by the management. Can the dialer maximize the rates of right party contacts? The modern day intelligent dialers use sophisticated algorithms that can track the histories and use information to predict best hours of the day and best numbers to call for future contacts. With this feature you can reach out to people when they are comfortable taking a call. It improves the right party contact rates and also boosts the effectiveness of a campaign. 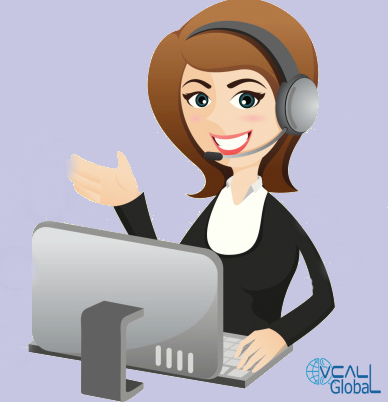 Can the dialer be integrated with various tools used in the contact center? Two of the most effective tools used widely in contact centers are the Workforce Management and Call Center Analytics. Your dialer should be completely compatible with these tools. These tools are used to manage the agents, their timings, leaves, etc. These tools are crucial for productivity, so their usage should not be hampered by the use of dialer. Check for these features next time you turn up to purchase a predictive dialer for your call center. The predictive dialer can make a whole lot of difference to the outcome of a campaign so choose this technology wisely.